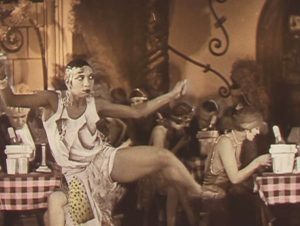 Gabrielle Deriseau rises to lead dancer at the Folies Bergère where she performs in a show of review numbers from around the world including two with the legendary Josephine Baker making her cinematographic debut. There is no trailer for the film, but here is a clip. The silent film will be shown with intertitles in French and English.